MOSCOW, December 15. /TASS/. Moscow’s Dorogomilovsky Court began considering a lawsuit Thursday filed by a former Ukrainian MP on recognizing the February 2014 events in Ukraine as a state coup, and ex-Ukrainian President Viktor Yanukovich will attend the hearing, a TASS correspondent reported from the courtroom. In his lawsuit filed late last month, ex-MP Vladimir Oleinik said he hopes to defend his rights as a citizen of Ukraine in a Russian court on the basis of the UN-approved Declaration of Human Rights ratified by both Russia and Ukraine. 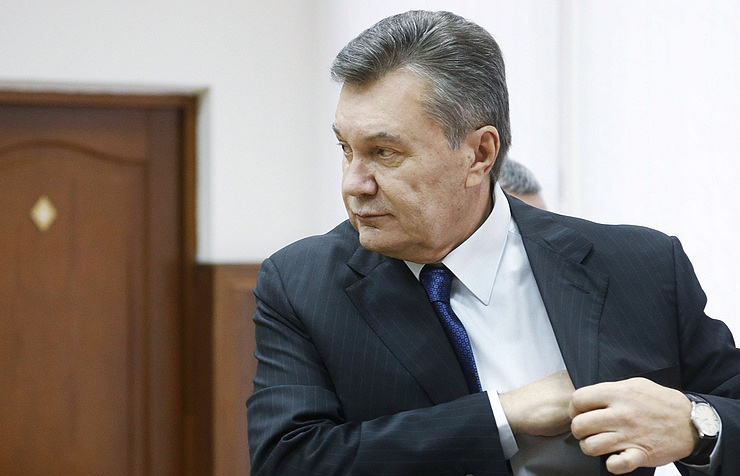 "Yanukovich will soon take part in the hearing," Oleinik told the court. The ex-MP said he filed a lawsuit with the Russian court after exhausting all the legal possibilities to obtain justice in his home country. "Being a lawyer myself, I conducted my own investigation into the February 2014 events and concluded that a state coup and usurpation of power took place in Ukraine in February 2014," Oleinik explained adding he had elaborated on his findings in a collection of documents. Oleinik said he had urged Ukraine’s Prosecutor General’s Office to initiate criminal proceedings regarding the state coup case but his request was turned down. Oleinik warned that he would use Ukraine’s judicial system and would appeal to the European Court of Human Rights to legally recognize the 2014 events as a state coup in Ukraine. The former MP said the parties concerned in this case are Germany’s Foreign Minister Frank-Walter Steinmeier, former French and Polish foreign ministers Laurent Fabius and Radoslaw Sikorski, Viktor Yanukovich and President Pyotr Poroshenko (who was Ukraine’s MP at that time). Other former Ukrainian officials, including ex-Prime Minister Nikolai Azarov, former Prosecutor-General Viktor Pshonka and ex-head of Ukraine’s Security Service Alexander Yakimenko, have been summoned by the court to give evidence. All the parties concerned have received the respective documents, but only Yanukovich and Azarov have responded, Oleinik’s spokesman Yuri Kot said.